4-1/8" Chrome steel balls are widely used in precision ball bearings and many other industrial applications. Chrome steel balls have exceptional surface quality, high hardness, and high load bearing capacity, as a result of through hardening. 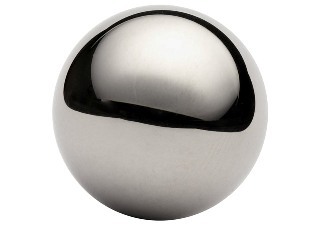 Chrome steel balls also offer long life and and deformation resistance.